ATHENS, Greece (AP) — An explosion inside a car in Greece’s capital wounded former Prime Minister Lucas Papademos on Thursday, police said. His injuries were not considered to be life-threatening. 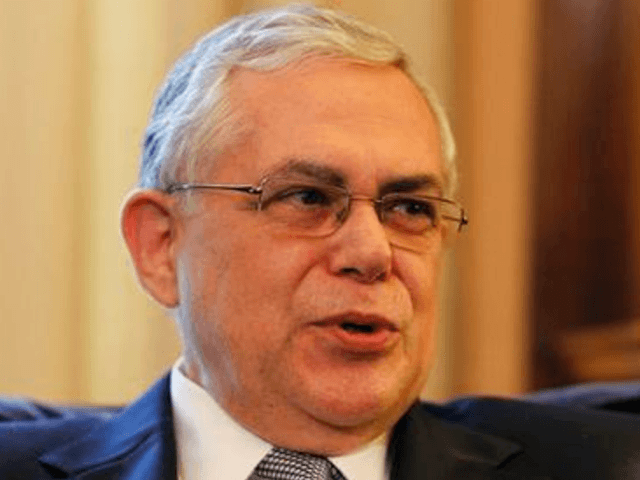 The 69-year-old Papademos, who served as prime minister for six months in 2011-2012, was hospitalized and undergoing tests, officials said. Police said two other people in the car were also wounded. Police gave no further details and didn’t immediately confirm media reports that the explosion was caused by a parcel bomb that Papademos opened while inside the car. Papademos is also a former deputy governor of the European Central Bank. There was no immediate claim of responsibility, but Greek politicians have been targeted in the past by militant far-left and anarchist groups. Earlier this year, a group called Conspiracy Cells of Fire, claimed responsibility for sending parcel bombs to the German Finance Ministry and the Paris office of the International Monetary Fund, where a small explosion injured one person.